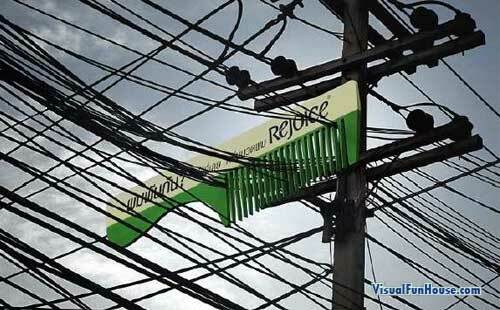 Rejoice Comb Billboard is a creative new design that is defiantly going to catch some attention. The billboard reads “Tangles? Switch to Rejoice Conditioner”. The ad itself is a great way to drive the point of de-tangling, especially with that rat nest of power lines. I sure hope that sign isnt conductive 🙂 For some other cool billboards check out the Lord of the Rings edition. That’s funny. I’d hate to be the one in charge of changing taking it down. That’s really cool, I love it!